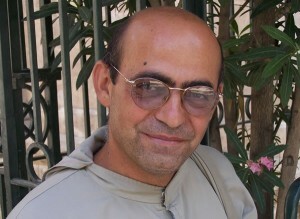 Father Franҫois Mourad was murdered this week in Syria by rebel forces while protecting Christian nuns. Fr. Franҫois Mourad’s killing of is a sad occurrence and a blow to all the friars of the Custody of the Holy Land,” said Fr Pizzaballa, Custos of the Holy Land, as he spoke with AsiaNews about the Syrian clergyman who died on Sunday in al-Ghassaniyah, a predominantly Christian village in Jisr al-Shughur District, Idlib province. His funeral was celebrated yesterday in the small village of Kanaieh, a few kilometers from where he was killed.